I do hope you have had a good weekend. Mine was a mixed bag, I got a stomach bug on Friday and it's only just going now. 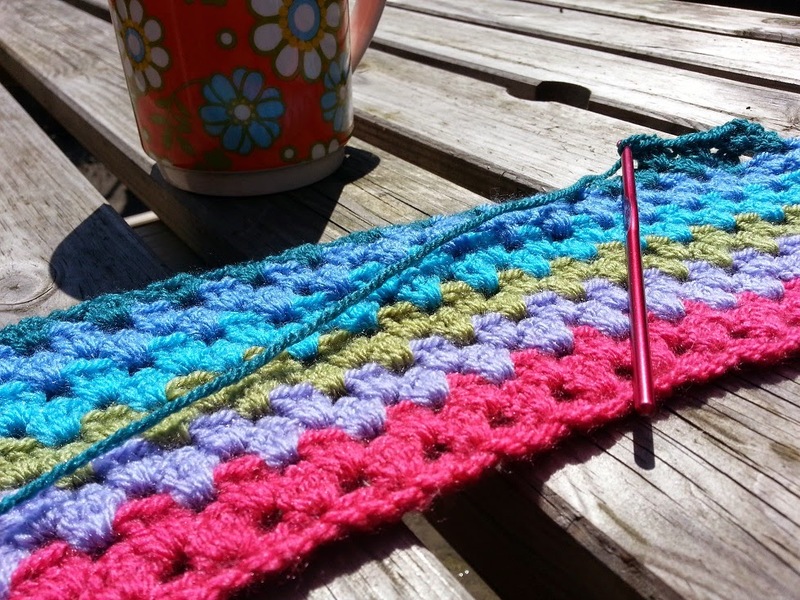 I have been so off that I couldn't even crochet! The thought of concentrating on anything other than not being ill was just too much. I had started whipping up the back of my chair covering on Friday, while the sun was shining and I was feeling great, lovely sunshine! As you can see it is a kind of wedge shape, this is so it fits nicely without too much overlap with the front of the covering. 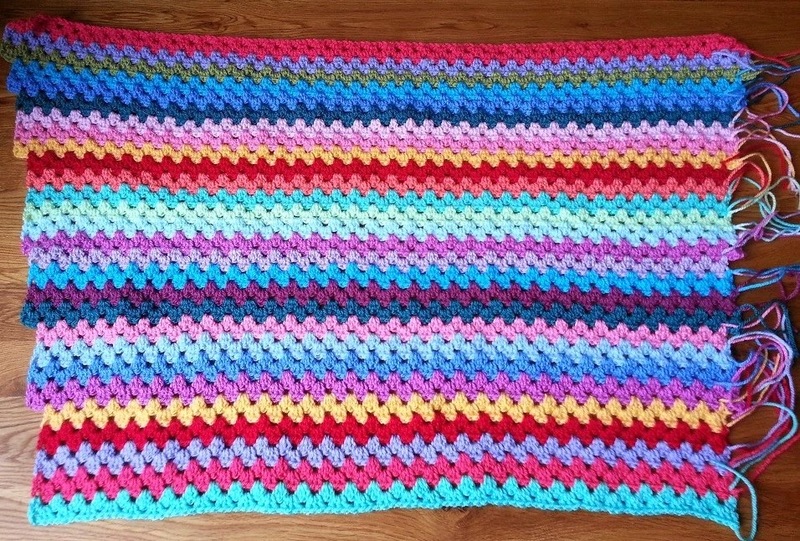 I ummed and ahhed about how to get this shape neatly with granny stripes, should I increase in the middle of the rows or add a few chains to the start and finish of the rows to make it increasingly bigger? Both of those options just did not look neat enough. Inspiration! Why not make it from the top down? 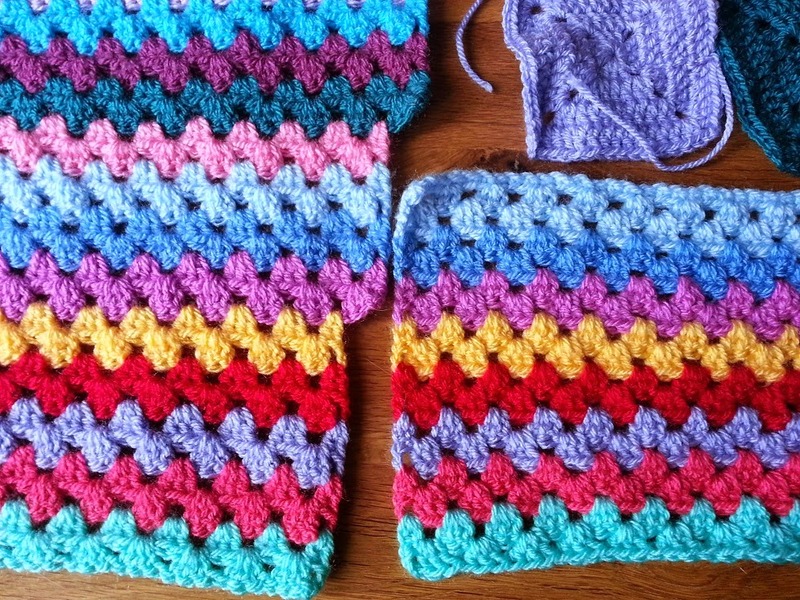 It is so much easier (and tidier) to decrease with granny stripes, just miss off a cluster at the start and end of the rows. So I have been back and forth measuring it against the chair after each stripe so that it fits nicely. In hindsight it may have been easier if I had made a template in newspaper or fabric first, but this has worked just as well. 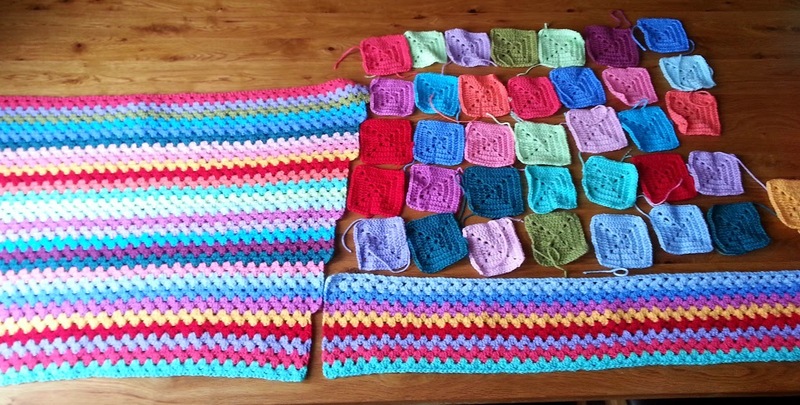 I am very nearly there with the crochet part of the chair, just 20 or so squares to make and then A LOT of sewing; sewing ends in and sewing it all together. 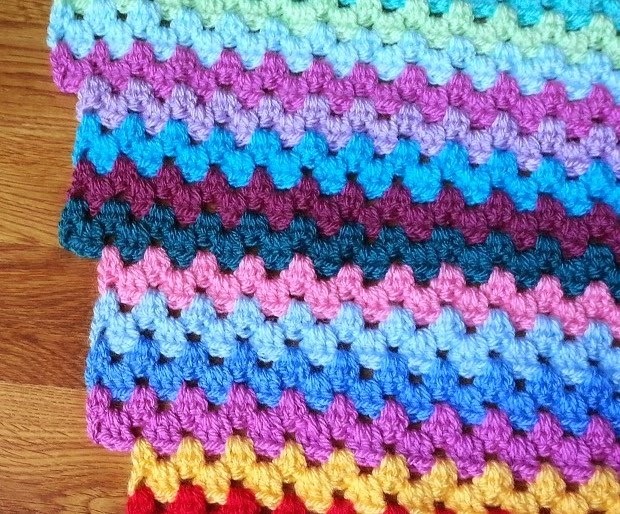 I have a surprisingly large amount of yarn left too, perfect as I am still trying hard not to start another blanket just yet but it's nice to know it will all be there waiting when I settle on a design.